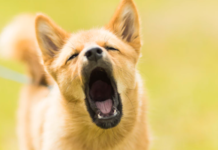 Choosing what dog or what dog breed to bring into the family is always difficult, but it can get even trickier when there are kids involved. Most dogs can learn to get along well with kids if introduced properly, but some breeds have genetics and temperamental traits on their side, which sets them up for a successful integration in the family. Doing proper research before settling on a specific breed is always encouraged and recommended, as it is important to know what you are getting and to choose a breed that is right for you and your family. Kids and dogs should always be supervised when playing together, to prevent accidents from happening, but if making a conscious and educated choice for what breed to get – you are a lot more likely to be getting the perfect playmate and friend for your children; one to whom they can turn when they need comfort, and who will be there to play with them in the backyard on sunny summer days. Kids that get to grow up with dogs often present fewer allergies, a better ability to show empathy and to take responsibility for someone other than themselves. A pet teaches them to love unconditionally, by exposing them to the unconditional love the dog has for them. We often see Golden Retrievers as the best friend of children in movies and on TV, and it is no coincidence that the breed is chosen to star alongside kids. The Golden Retriever is a gentle and loving soul that takes things as they come, and that truly enjoy spending time with kids. They are full of joy and happiness, patient like few other dog breeds, always up for a long walk or a game of fetch and they understand the importance of playing gently with kids. As an extra plus, the Golden Retriever is easily trained and remarkably intelligent, they have a soft mouth thanks to being bred for retrieving pray without harming it, and it is extremely rare for them to show aggression or to bite. A well-balanced Golden Retriever gets along with everyone, loves to cuddle and will never say no to a run around the backyard or a game of fetch or tug-of-war. They also love their downtime and will happily cuddle up with their young pack members on the couch to watch a movie. 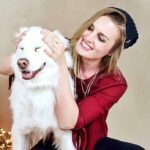 It is the dog breed many children dream of having; most likely due to exposure in kid’s movies, and the good news is that they are just as great with kids as media makes them out to be! Few dogs are as unconditionally loyal and eager to please, and who can resist those big, goofy and smiling dog faces? 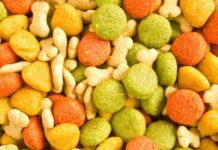 Feed your Golden these top quality Retriever dog foods. This is a big and fluffy dog that will look like a massive bear next to a small child, but despite their size, they are both gentle, laid back, caring and sweet, and they make excellent family dogs thanks to their sense for looking out for everyone. If your child cries – a Newfoundland is likely to come right over to see what’s wrong because it matters to them that even the smallest family members are happy and content. Kids love burying their faces in the Newfoundland’s thick fur, and let’s face it – the Newfoundland loves it too! Since they are both patient in temperament, and fond of being cuddled and touched, it is no surprise why so many families with children have chosen to bring a Newfoundland into their homes. The Newfoundland needs long daily walks to stay in shape, and since they move rather slowly – they are the ideal companion for a family outing or a walk together with children with short legs. They can even be taught to pull babies and young children in sleds and wagons, something that is both fun for the child and a real treat for this working breed. Having a task to complete is highly desired by the Newfoundland, and if given the chance – they have every potential of becoming the best nanny your child could ever wish for. Their soft fur and gentle ways offer comfort and support, they know they are big and treat kids with the gentleness required for safe interaction, and they love spending time together with the whole family. It is close to impossible not to love a Labrador; with their big understanding eyes, their wagging tails and their loving personalities. A Labrador has a special way of looking at you – as if you were the best thing to have ever happened to them! They are outgoing, love a good belly-rub, they never seem to lose their positive outlook on life and they embrace the opportunity to make new friends whenever it presents itself. The Labrador is also extremely food motivated, and you can usually buy their love with a couple of slices of ham or a delicious treat! Labrador Retrievers are sturdy and big dogs; robust enough for well-behaved children to play with, and they can run and play for hours which is just what kids tend do want to do with their dogs! Labradors need plenty of exercise and activation, but they also like to spend time with their humans and go on adventures. Having kids in the family can help towards giving a Labrador Retriever a fulfilling and complete life, and their gentle ways and enormous patience make them suitable family dogs for families with both young- and older children. While the Poodle was originally bred for hunting in Germany, they have become an incredibly popular dog breed for families with children all over the world. They are playful, somewhat comical to watch, they have lots of energy and are highly intelligent. 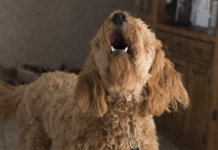 While the Poodle can be a bit stubborn at times – they are known for being easy to train (house training will often be easier than with other breeds) and great with young children. The playfulness makes them a bit clumsy at times, but they are gentle in their ways which is a great quality for playing with kids. 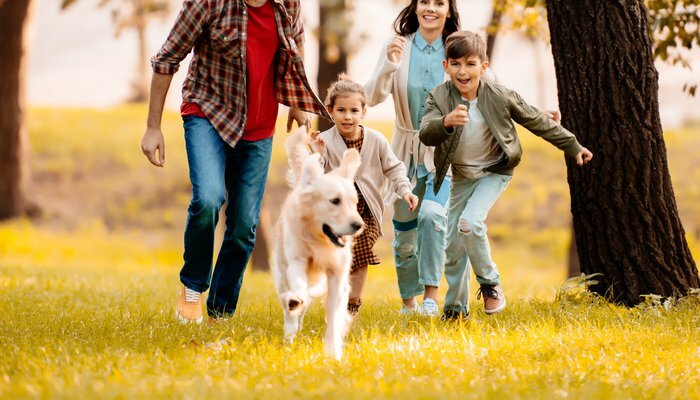 Many big dog breeds don’t know their own size and strength and might accidentally harm a child while playing, but the Poodle has it all figured out and its soft movements and sweet personality are what places them among the top breeds for families with kids. 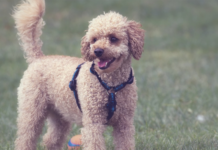 The poodle comes in different sizes (standard poodle, miniature poodle, and toy poodle), and adjust well to living in apartments or smaller living areas, as long as they get plenty of exercise opportunity outdoors. The fun-loving Beagle is playful but also calm, and it is a dog that has everything it takes to get along well with a child. Both children and Beagles love to play, they enjoy the occasional nap and they are great at coming up with games, activities and the occasional mischief. It is hard not to have fun when spending time with a Beagle, and their bubbly personalities make them the dream dog friend for children. It is a dog breed without extensive grooming needs, they learn fats and love to tag along for family adventures! Beagles do need to be kept active and they should be provided with plenty of exercise opportunity and mental stimulation, but a few runs around the yard with the kids in the family will go a long way. Being alone is not the Beagle’s favorite thing, so it suits them perfectly to be a part of a big family where there is always something going on and where they get to be a part of everyday activities and outings. They are friendly towards strangers and do well when being introduced to new people (which is convenient for when the kids are having friends over), and the small to medium size of the dog is suitable for older children that might want to start walking the family dog themselves. Let’s not forget about the mutts! Many mix-breeds make wonderful family dogs and excellent companions for children. One example is the Jug – the mix between a Pug and a Jack Russell Terrier, which has gained tremendous popularity (as a designer dog breed) over the past few years. It is a small and interesting looking dog, and while they can vary in physical appearance due to essentially being a mixed breed, but they are often a round-headed, with a curled tail, somewhat lighter than a Pug and athletic and strong like the Jack Russell. Temperament can also vary, but many have the playfulness of a Jack Russell, but without the intensity that normally comes with the breed. They are, however, still energetic, incredibly intelligent and fearless like their Jack Russell parent, combined with the loving, easy-going and sociable personality of a pug, which is what makes them perfect for a household with children. Then can run and play all day, since their breathing is generally better than that of a purebred pug, they have enough energy to keep up with active kids while also being gentle and patient around small humans. 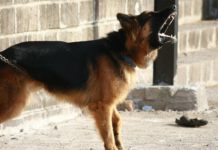 It is a fun all-round dog that will fit right into a rambunctious and full-of-life family.